Our certified operators are trained to do on-site training, service repairs, and maintenance on your equipment. NiGen International helps pipeline companies develop procedures for the commissioning and decommissioning of pipelines, station facilities, and other petrochemical related installations. NiGen owns an extensive fleet of rental compressors, nitrogen systems, air dryers, and booster compressors. NiGen International is a leader in the design and manufacture of on-site nitrogen systems, headquartered in Houston, Texas. 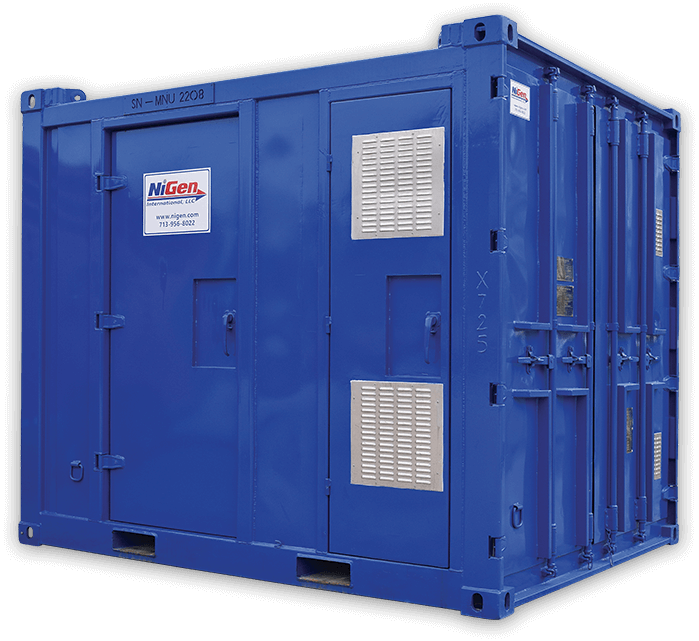 From portable containerized systems to skid-mounted stationary systems, standard or custom engineered, we have the system to meet your specific needs or requirements. At NiGen, we utilize the most efficient and highest performance membranes available on the market today. As a manufacturer, we can design a system to match an existing application or provide the most efficient solution. We continually strive to communicate with our customers and deliver a safe, efficient and cost effective solution on their onsite nitrogen needs. to discuss your pipeline services with an experienced engineer.